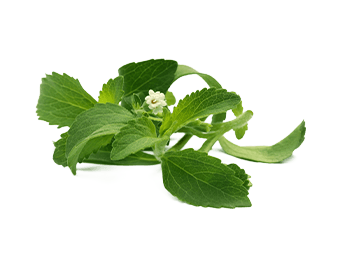 Stevia leaves (Stevia rebaudiana B.) contain seven kinds of glycoside compounds that give these leaves their sweet taste - between 250 and 300 times sweeter than table sugar. Aside from glycosides, Stevia also contains powerful antioxidants including apigenin, kaempferol and quercetin which can contribute to improved weight management, heart health and may support normal blood pressure, blood sugar and uric acid levels.